Cox Business conducted a survey of more than 600 U.S. small business owners. The survey, conducted in late April, has just been released to coincide with National Small Business Week, May 12th-16th. Entrepreneurs are more concerned about economic uncertainty and its’ potential to threaten the success of their business than several other issues, including the Affordable Care Act, according to the 2014 Cox Business Barometer. When ranking their level of concern on issues that were immediate threats to small and medium-sized business success, 88 percent of entrepreneurs were either “very concerned” or “somewhat concerned” about economic uncertainty. This compares to 66 percent who had the same sentiments about the Affordable Care Act. 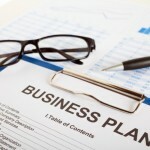 A Business Plan is Crucial to Your Success as a Small Business. Learn Why!